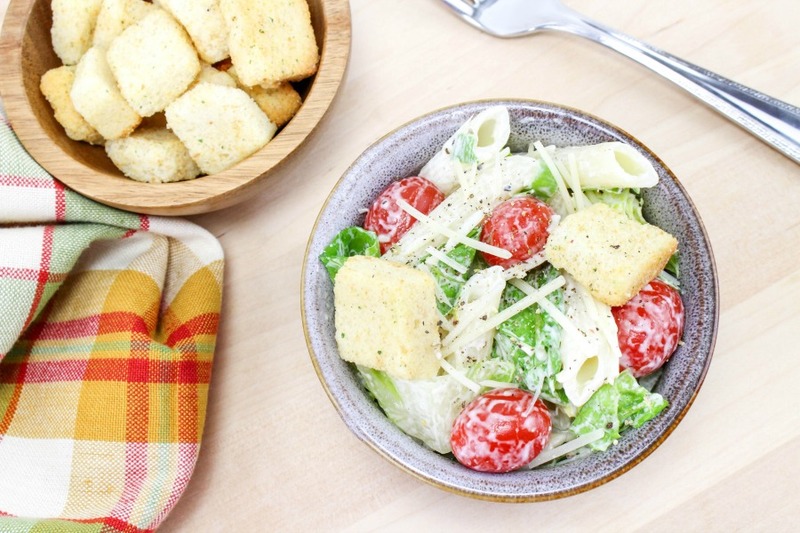 Caesar Pasta Salad is the perfect dish for summer. 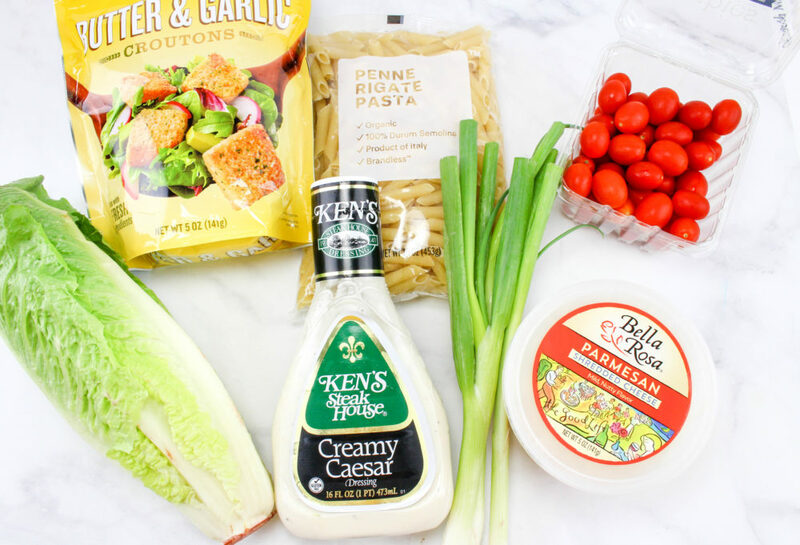 Tender pasta noodles tossed with traditional Caesar Salad ingredients in a creamy garlic dressing packed full of flavor, but with minimal effort. 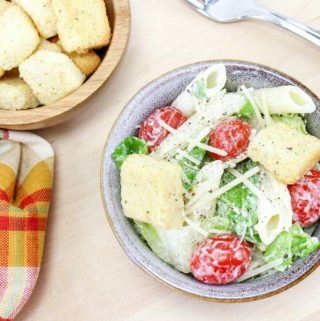 I love that this Caesar Pasta Salad can be made ahead of time and served on the hottest of days, offering relief from the heat of the oven! 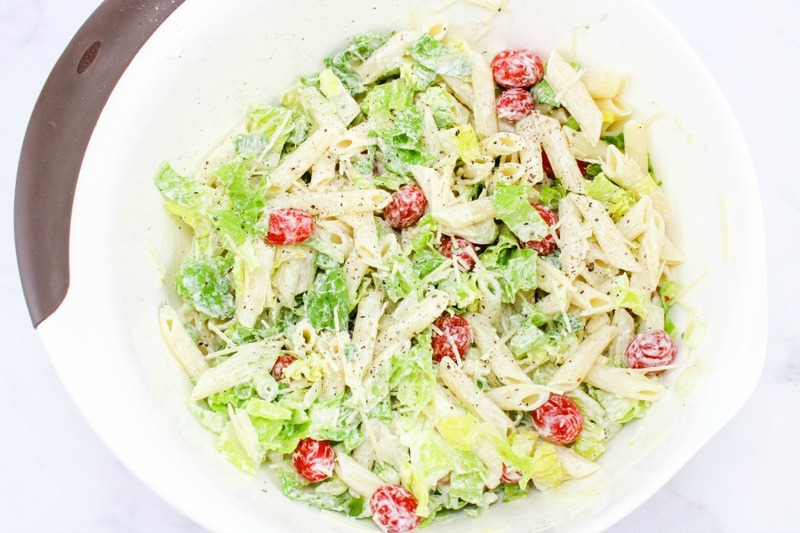 The Caesar Pasta Salad makes a great meal or side dish. Cook pasta per package direction and rinse under cold water. Drain well and set aside in a large bowl. 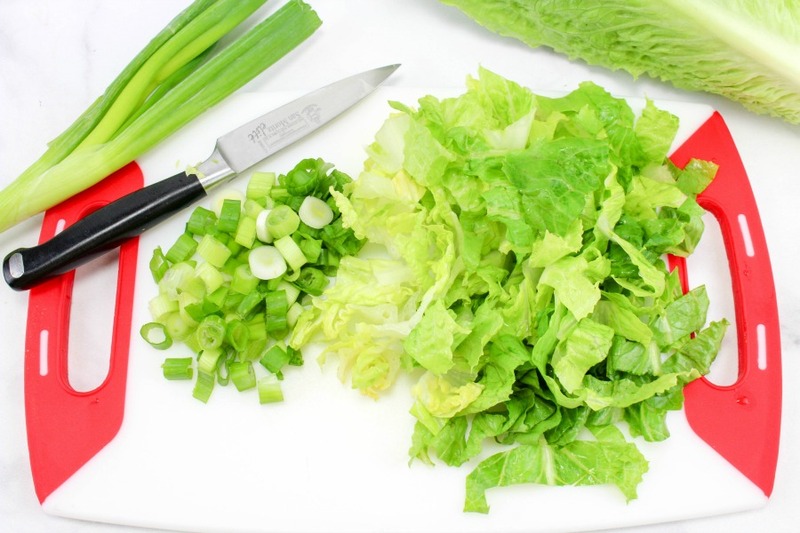 Chop the lettuce in small pieces and dice the green onions. 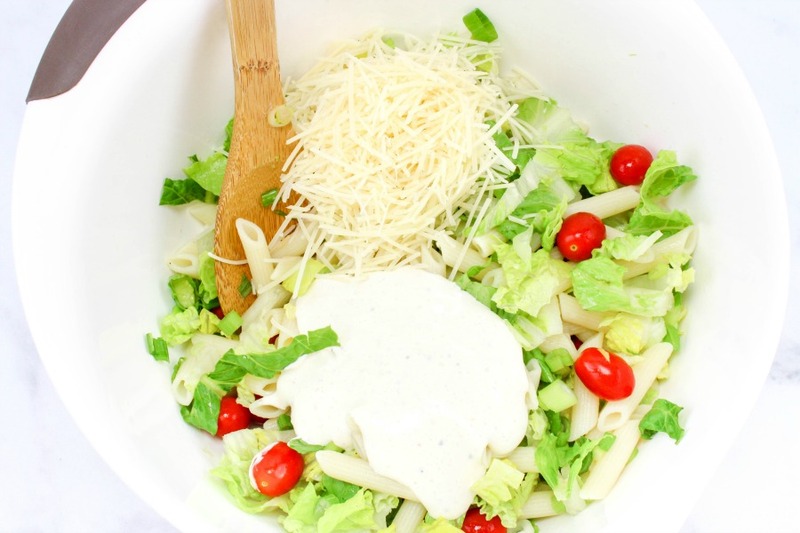 Add the lettuce, onions, and tomatoes to the pasta bowl . Add in the dressing and parmesan cheese to the pasta and mix everything well. Right before serving sprinkle croutons over the top. 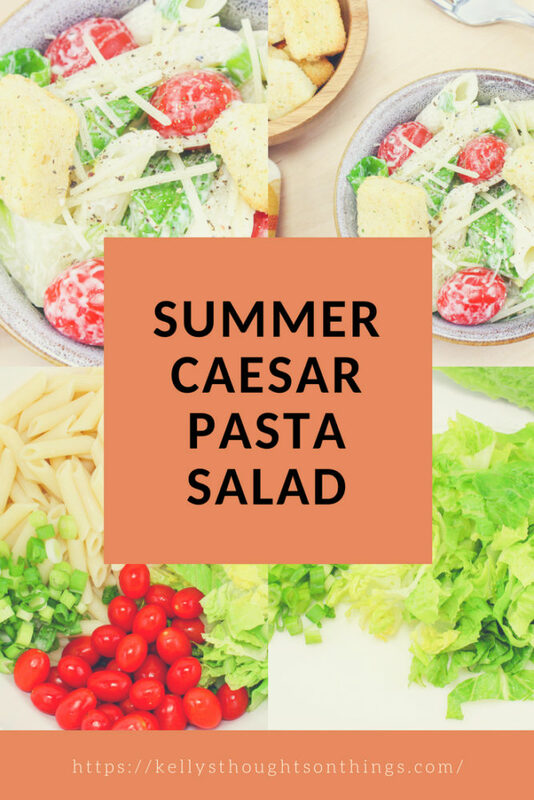 Makes a great summer side dish, or a main dish for a light meal! 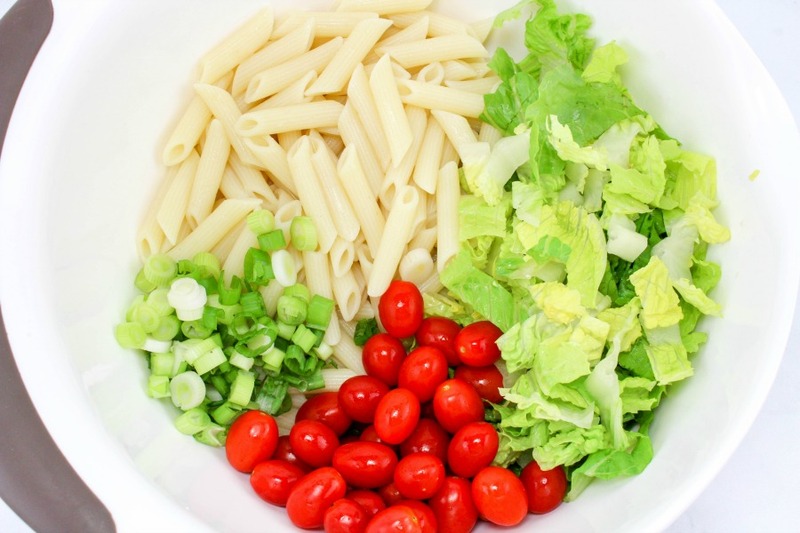 Add the lettuce, onions, and tomatoes to the pasta bowl. 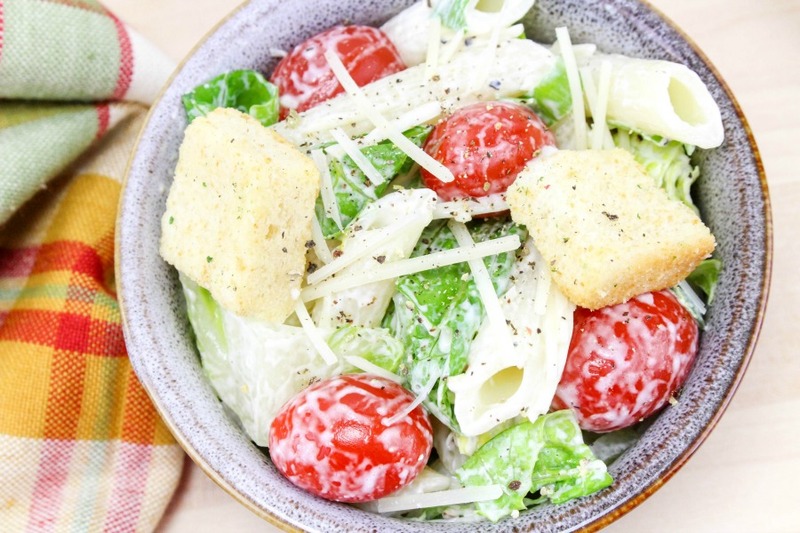 Makes a great summer side dish, or a main dish for light meal!